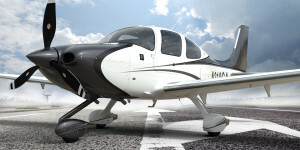 The Cirrus SR20 received a type certificate in October 1998 and the Cirrus SR 22 followed in November of 2000. The Cirrus brand was quickly on the minds of pilots looking for the latest in advanced aviation technology and safety featuring the Cirrus Airframe Parachute System (CAPS) and an all glass cockpit with Synthetic Vision Technology (SVT). However, these safety features are only as good as the pilot behind the stick. With the new COPA Insurance Program offered by Aviation Insurance Resources (AIR) through Starr Aviation, Cirrus owners that are members of the Cirrus Owners and Pilots Association (COPA) will be rewarded for safe flying. Through the COPA Insurance Program, Cirrus owners who are claim free will receive a return on a portion of their hull premium upon renewal! Other discounts include 20% off for completing annual training and a 5% credit for attending Cirrus Critical Decision Making seminars. -Guaranteed renewal as long as the pilot is a COPA member in good standing and is current with CPPP. To qualify for the COPA Insurance Program, Cirrus owners must be a current COPA member and be a private pilot with an instrument rating between the ages of 25 and 70. In addition, pilots must have at least 500 hours total time and 250 hours in Cirrus aircraft. Annual recurrent training with the Cirrus Pilot Proficiency Program (CPPP) must be completed within last 12 months of policy inception or prior to policy inception. Get your Cirrus Aircraft Insurance Quote today! Aviation Insurance Resources (AIR) represents all of the major aviation insurance markets, offering the broadest package of protection at the best available rates. We build relationships with our pilot clients and aviation insurance companies that result in premier policies like the COPA Insurance Program. To get started on your insurance quote today, call an AIR aircraft insurance specialist at 301-682-6200 or complete a quote request form online today!